A little over two years ago I reviewed a mystery novel called Scorpio Rising, by Alan Annand. 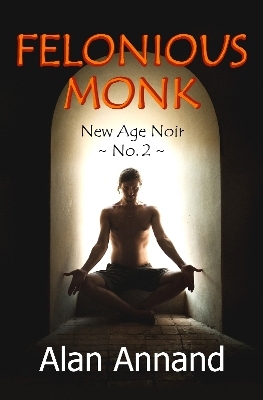 This title was actually the first in what he calls his “New Age Noir” series, and now the second installment, Felonious Monk, arrives just in time for a review in this issue of Horoscope Guide. The hero of the series is a Canadian named Axel Crowe, a private investigator licensed in all 50 states of the USA (and presumably all provinces in Canada). Although like any detective he knows the ways and wiles of criminals, he has one thing extra going for him: he’s what might be called a trained intuitive. By this I mean that, although his primary tools are much the same as those of any good private investigator, possibly the most important item in his toolkit is astrology. He uses both natal and horary astrology, added to which is an intuitive awareness of a symbolic ebb and flow in the environment around him. 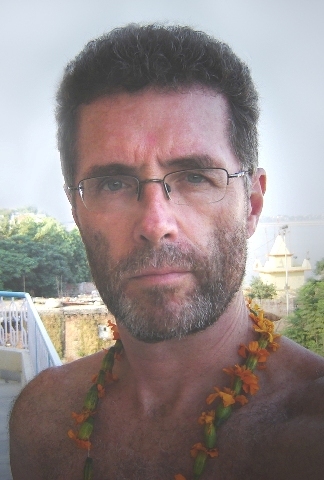 The astrology he uses is “Vedic,” the astrology of India, and the two astrological techniques just mentioned are integrated into that ebb and flow, with astrology and its symbols interacting with various elements of the spaces in which Crowe finds himself over the course of his investigations. Here’s an example of how this works – at a point when Crowe is in the apartment of the main victim, Seth Greer, whose murder he’s investigating. One notable thing about Greer’s murder is that within a day or two after he was killed, someone has systematically gone through the offices of The Village Voice (where Greer worked as a freelance journalist), his apartment, and anyplace else where he might have used a computer or saved a file. By the time these mysterious intruders are finished, they’ve destroyed or stolen hard drives, paper copies of Greer’s work and notes, and anything else that might have a word or two on it. He sat for a moment at Greer’s desk and surveyed the mess. What was he looking for? A clue to what got Greer killed. With too many file folders to look through, he decided to narrow his choices using ruling planets – the day lord, the ruler of the Moon sign, and the Ascendant lord. Monday was ruled by the Moon, whose color was white. That was no help. There were too many off-white folders. 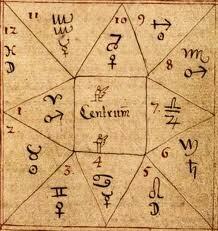 …Documents were signified by the third house, Libra. Its lord Venus was in Taurus with the Moon in the 10th house. He looked in the hallway closet adjacent to the entrance. Several jackets and coats hung on a rod. Near the back of the closet was a long black winter coat. Saturn in the 3rd house: something stiff in the arms. He felt inside the coat and withdrew three blue file folders that had been rolled together and hidden inside the coat sleeve. Each file was almost half an inch thick. He immediately got the sense this was what he’d been looking for…. And indeed it was. By outlining an example of Crowe’s astrological thinking, I want to emphasize that I’m doing this only because I’m writing for an astrological audience that might find this interesting. But I don’t want to give the impression that the novel is like this, page after page. Astrology or not, this is a murder mystery through and through, and you don’t have to know anything about astrology to read it. Crowe shuttles back and forth from locations that range from New York to Vermont to Thailand, among many other locales, all in pursuit of a motive for the killing of Greer, a muckraking reporter who was thrown off a cliff to his death during a peaceful week-long retreat at an ashram run by a friend of Crowe’s. The local police quickly decide that Crowe’s friend is the culprit, and throw him in jail, so Crowe is off on the trail of the real killer. Greer’s murder is not the whole of it, however, and by the time we’re a few chapters into the story, Crowe is actually investigating Greer’s murder while simultaneously consulting with the NYPD on several unsolved serial killings. In order to get needed information for the Greer case from the police, he works a trade by consulting on the unsolved killings, and at times the two cases seem destined to intertwine, while at other times they seem to have nothing to do with each other. Crowe sticks with it, however, until every last murderer is dead or in jail, and every last murder is solved. I guarantee that if you pick this up you won’t be able to set it aside. With Felonious Monk, Alan Annand has written a worthy successor to Scorpio Rising, and by the time you finish this fast-paced, wide-ranging tale you’ll be anxiously waiting for the next book in his New Age Noir series. 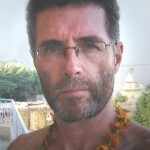 Ken Irving, editor of Horoscope Guide, is an astrologer specializing in locality mapping, Astro*Carto*Graphy, and related subjects. See his website for more information. Read the highlighted reviews of Scorpio Rising on Pinterest. Buy Annand’s New Age Noir series and other crime fiction on Amazon, Apple, Barnes&Noble, Flipkart, Kobo and Smashwords.